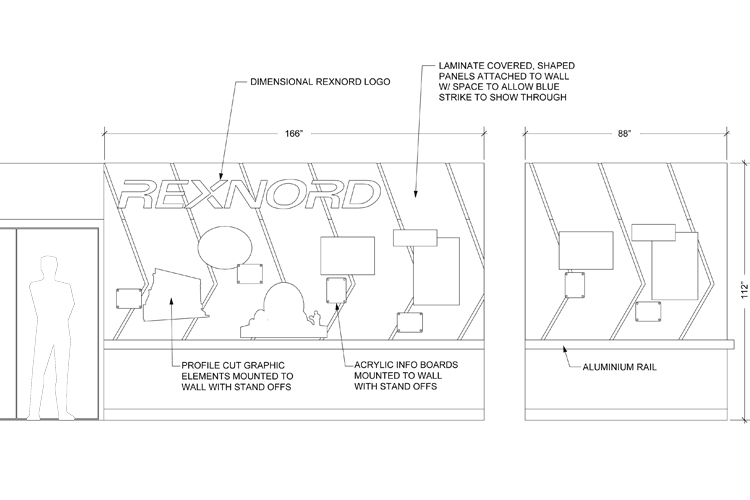 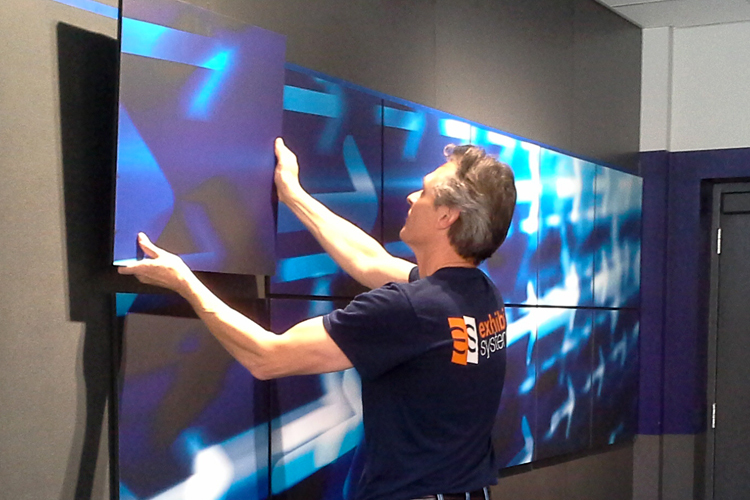 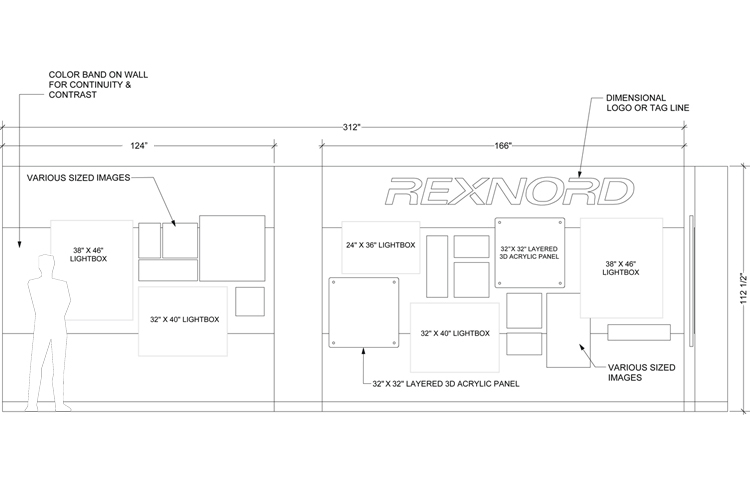 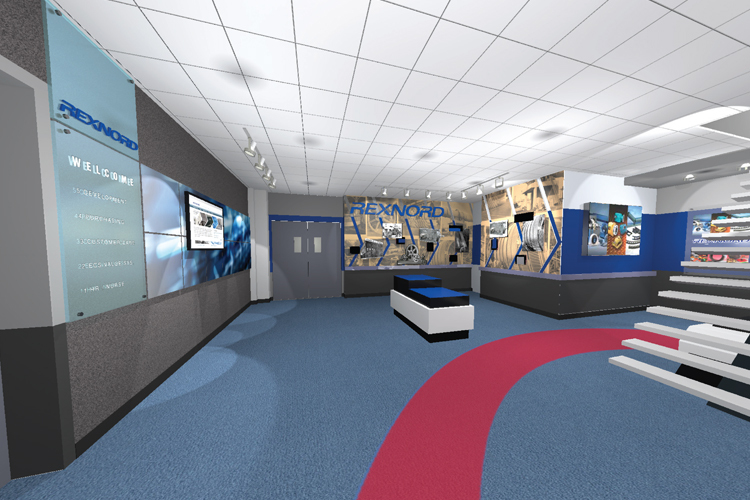 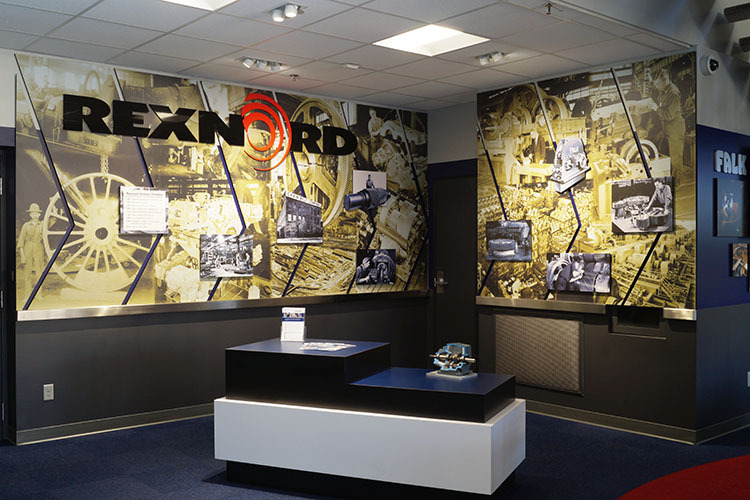 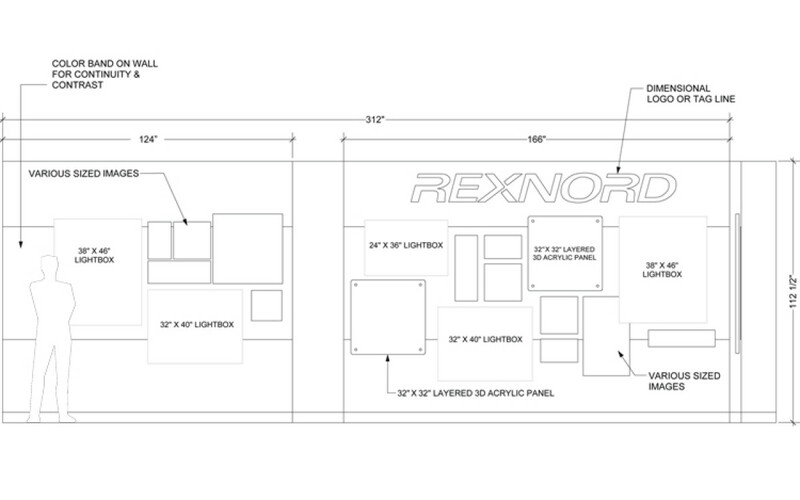 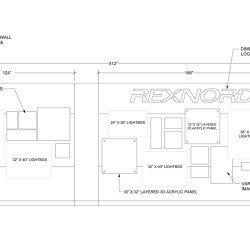 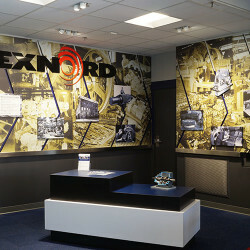 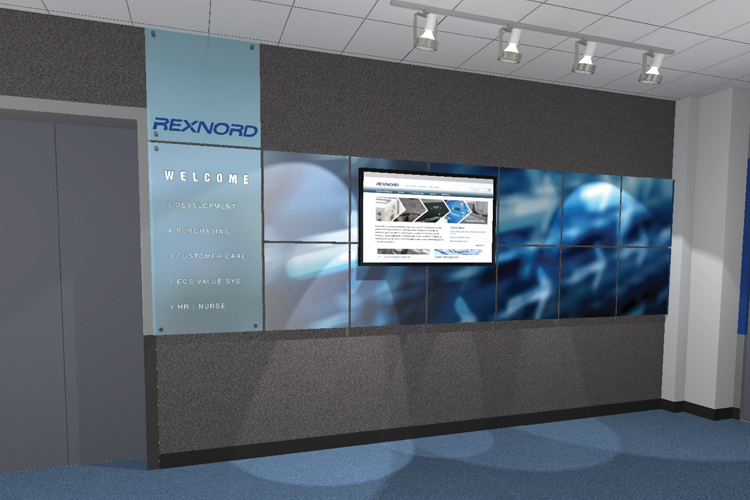 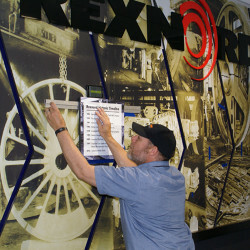 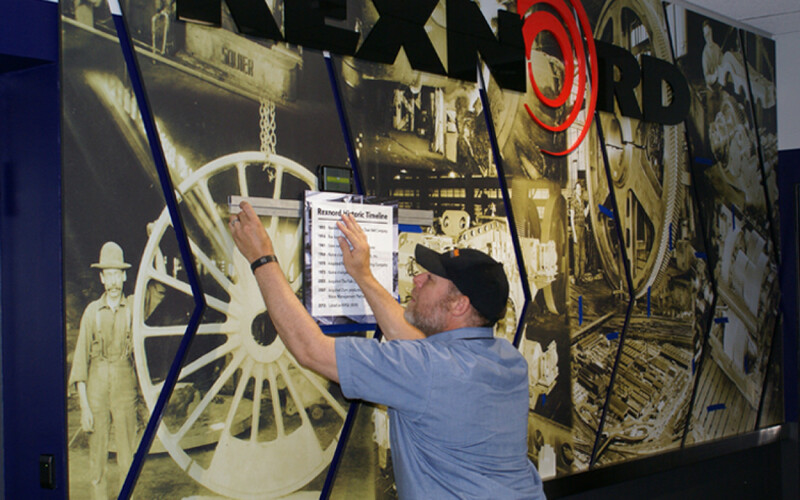 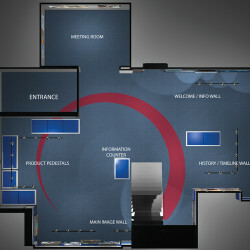 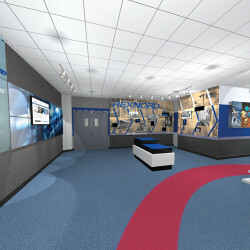 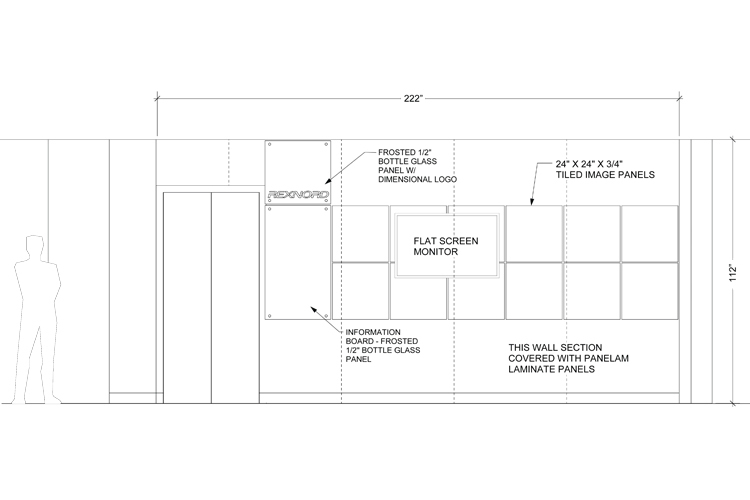 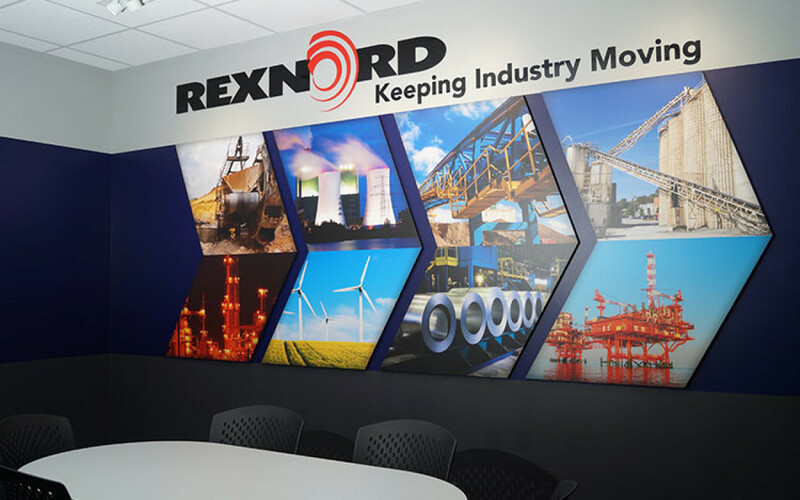 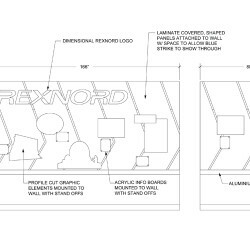 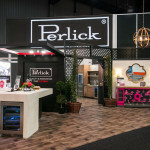 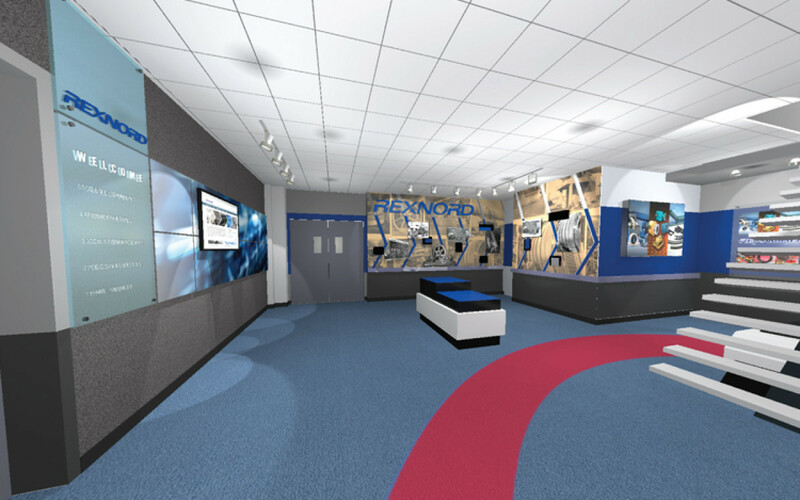 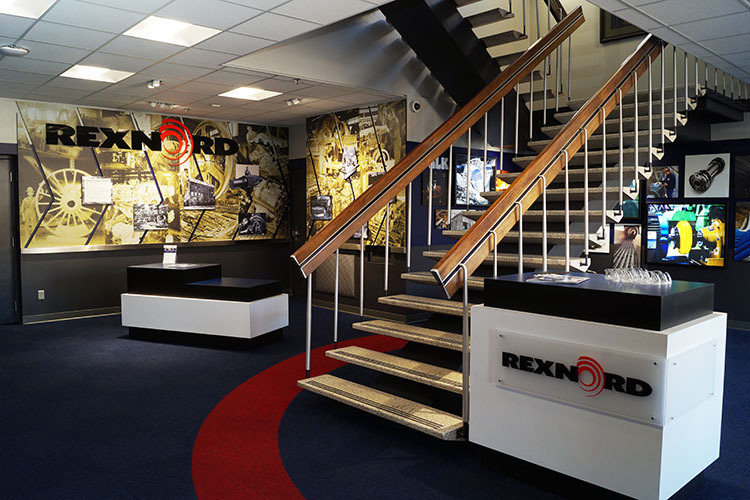 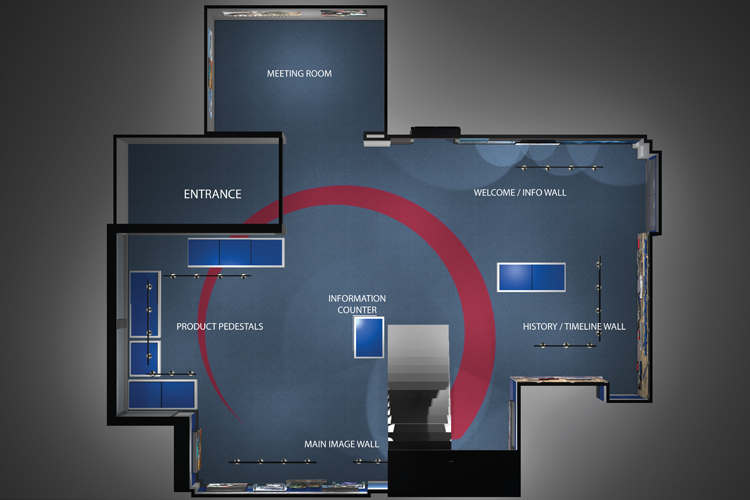 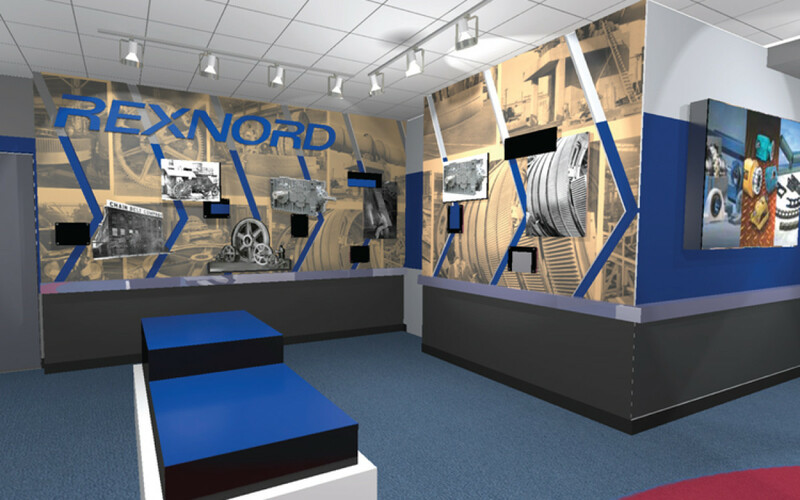 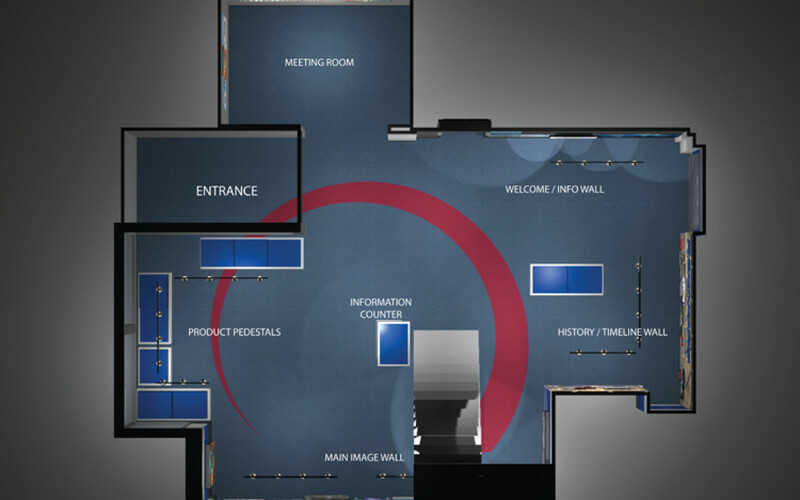 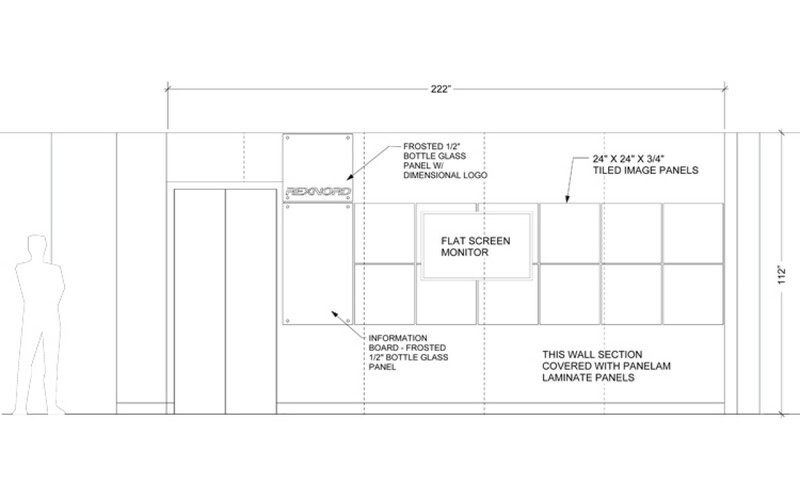 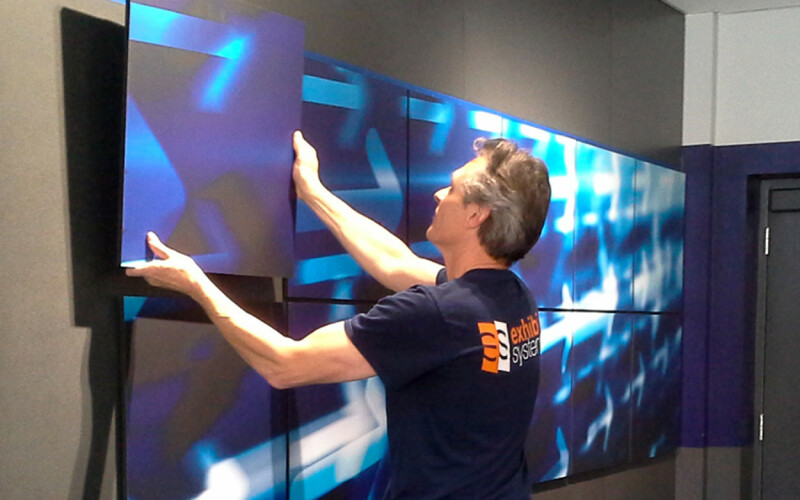 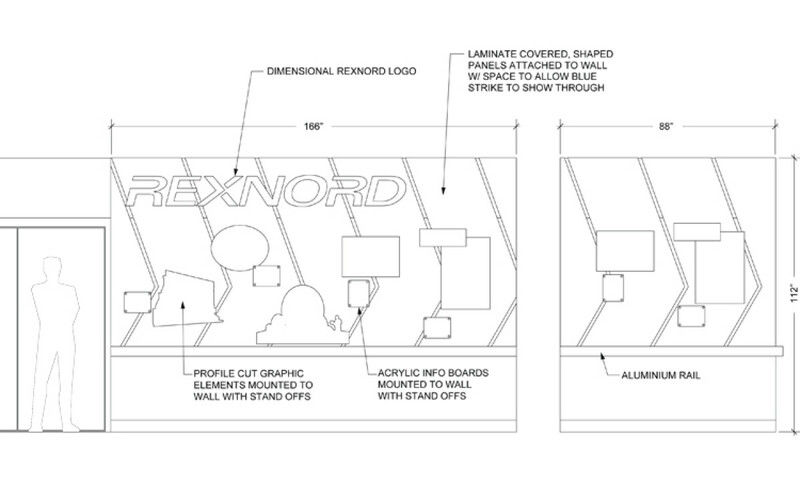 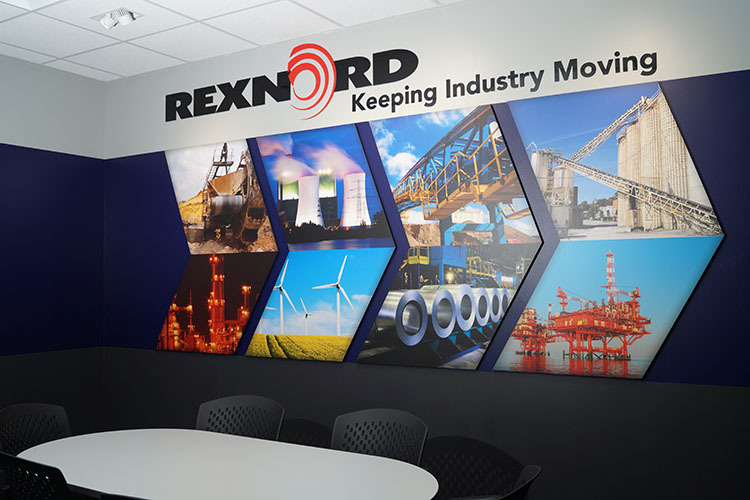 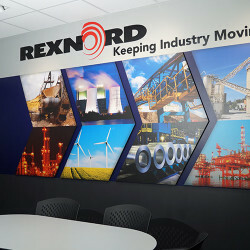 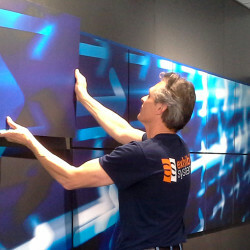 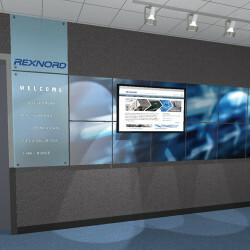 Rexnord needed to update their lobby at the Canal Street facility, and they came to Exhibit systems for the design, production and installation. 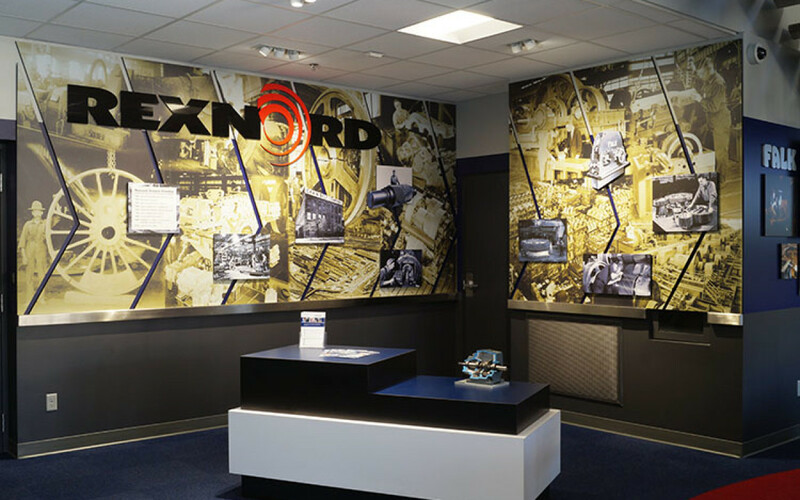 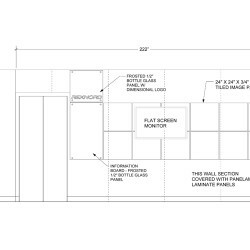 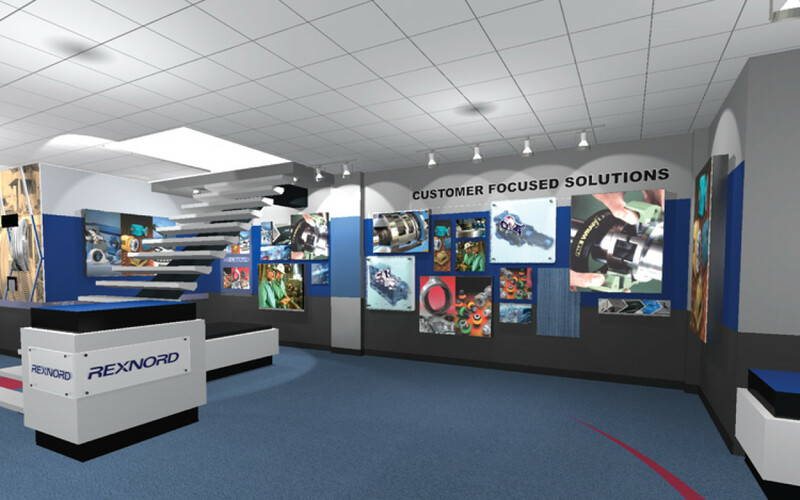 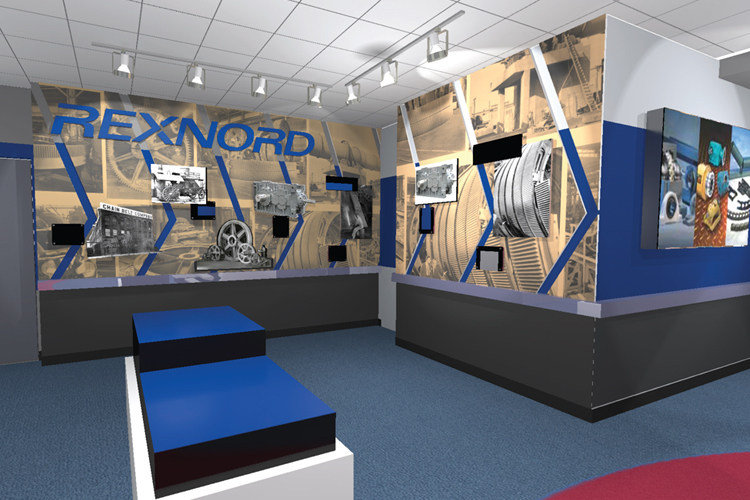 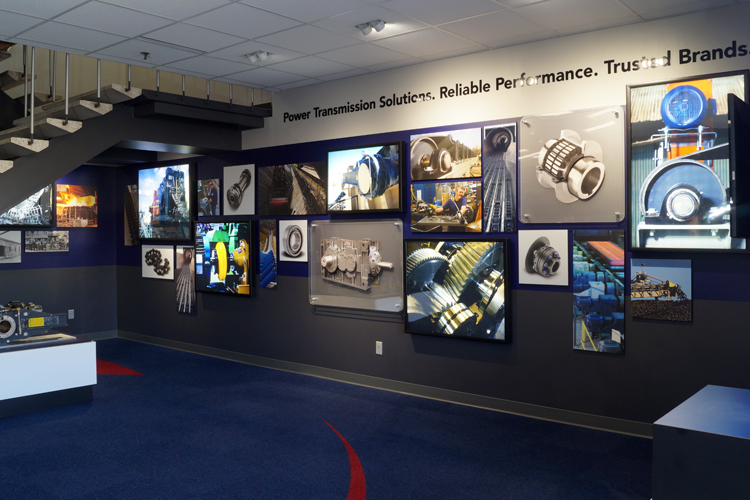 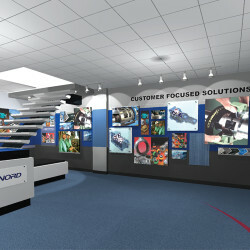 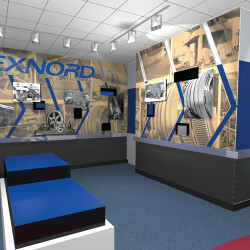 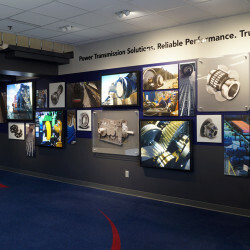 The new reception area includes laminated historical and current product photographs, lightboxes, Plexiglas layered images, product pedestals and audio video elements. 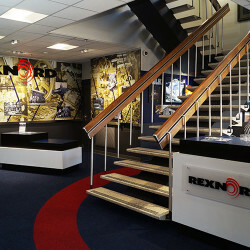 New carpeting, electrical and lighting completed the project.